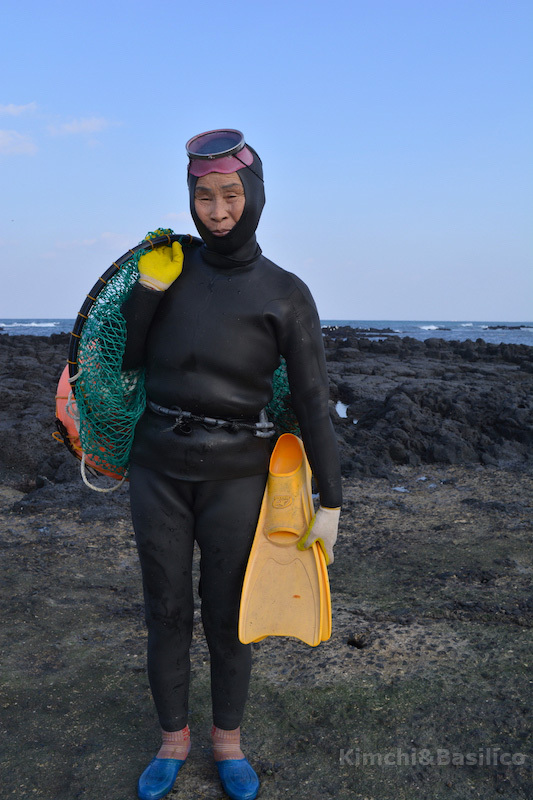 One of the Jeju treasures is the traditional figure of the haenyeo 해녀, the female divers of the island. For centuries the female divers had a key role in the economy of the island by harvesting shells fish and seaweed. Known for their fierce character, they have been inscribed on the representative list of the Intangible Cultural Heritage of Humanity in 2016. 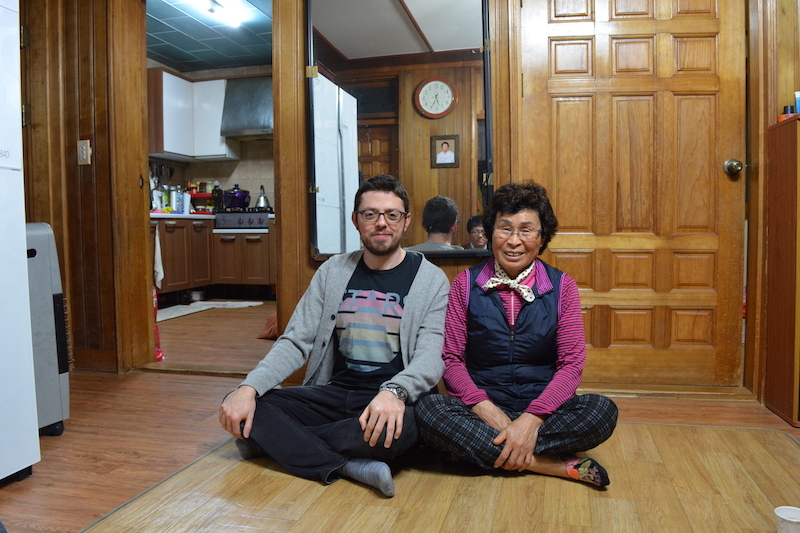 I met the haenyeo Lee Mae Chun in her house near the Gujwa village. We talked about her experience as haenyeo and how her job as evolved over time. She is working as diver for more than 50 years and used to dive daily up to 7 hours per day, but since she got older she is diving only when the sea condition are optimal. How did you become a Haenyeo? 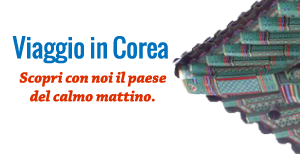 “When I was young, Jeju was one of the poorest region of Korea and working at sea was one of the few options for people living here. My mother and my mother in law were haenyeo and I started diving when I was 13 years old. So becoming an haenyeo was inevitable for me. I worked in Japan for some time, and there both men and women worked as divers. While in Japan, I learned diving with auxiliary oxygen and used this technique until i was 21 years. With an oxygen tank they can keep fishing for twenty minutes (in deep water) or 1 hour in shallow waters. How the job has changed in the last 50 years? “At that time it was easy to find seaweed and sell it but nowadays it’s hard to find it. Abalone was also easy to spot and to collect but these days no more. I still remember the excitement of catching a lot of abalone during one dive. The abalone was very valuable and you could earn good money. When I started we didn’t have proper suit and inner red cotton clothing (nebok – red inner cloth for winter) and a cotton suit were all we wore, so it was always very cold! If your body and your health were not strong enough you could not have done this job. After the introduction of scuba suits during the 70’s we could work longer in the water because it keeps you warm while swimming. To preserve life stock we follow a calendar that prohibits harvesting during reproductive season of the sea species. For instance sea shells season is opened between September until May. There are calendar for different kind of species. Even though we try our best to preserve the life of sea creatures the condition of ocean and its life stock has changed a lot and the pollution has had a big impact on it. Ulsan sea used to be rich of agar agar algae while sea around Jeju was full find other kind of seaweed (hecho 해초) but the environment has changed and Jeju is now also full of agar agar. Hecho plays an important role in the life of many fishes because they could hide among hecho but now that this seaweed is gone in Jeju, there are also less fishes in the sea around the island. Hecho is very essential in the water because it attracts fishes and other species. For example Striped beakfish 물톳 (mulddot – beakfish) is also hard to find in Jeju because of the environment change. We still can find sea shell and sea urchin but abalone is disappearing. What are the most important skills for a haenyeo? “I think the most important thing is knowledge of the sea and marine life: as we have fertile soil and not fertile soil also in the ocean there are places good to find seafood and other that are not good. Most shellfishes and fishes, at the end of the day come back to certain areas among the rocks and seaweed, so haenyeo know where to catch them. Haenyeo use an iron stick to catch them out of their holes. The fishes are very smart and know where they can hide and also how to escape. Learning to be a diver is very difficult and you have to learn how sea conditions change according to the weather, water tides, the behavior of the sea creatures and so on and how to respond to these changes while you dive. All this take years to learn. For instance shell fishes hide under the sand when a storm is coming. Knowing nature behavior is a lifetime study and the earlier you start the better, that’s why we start diving when we are very young. We learn how to swim in any conditions so we can keep diving also in rough sea. Nature will be always smarter then human being and we try to adapt to it. We learned how some species like sea urchin (섬게 seomgye), abalone (전복 jeonbok) or octopuses live usually where water current is stronger and low and high tide meet and we need to go there to find them. What do you think about women situation in Jeju? Are young people interested in becoming haenyeo? Do you think haenyeo are going to disappear? “This is a lifetime work that needs commitment and it can’t be mastered in the short period. Once her daughter in law had the opportunity to work as haenyeo during her free time and she realized how hard it was and that is a job that couldn’t be done part time. Also among experienced divers there are different levels of skills, who can catch more or dive deeper or staying in the water longer. They have knowledge and skills how they can catch the most valuable product and where to find it. This is based on experience and it is very important. As students who need to study more to get a good score, divers also need to experience and knowledge to do a good job. The divers need to do a qualification to prove they swim well and learn where the good products are located and water tides and movements are key to find good products. We know when and where to enter the water (weather condition and water currents) Which period and which area we can find a certain product. You can only learn this from experience. People come to Jeju to learn at the haenyeo school from mainland, but my impression is that they learn as hobby and not as a lifetime commitment or career as it should be. They come here just of curiosity and experience it as hobby. In order to become haenyeo you need to know everything about the island and the ocean around, the wind movements and all these are something that you learn only from young age and are not something you can learn in short time or as hobby. If I were younger I would go anywhere in a foreign country and do diver work. I used to go to Japan but I would like to visit Italy. Let’s go together, I want to go! (laughs). As I ask her if she thinks that haenyeo will disappear because there are no young recruits, suddenly her expression changes and she looks away. Her son answered instead of her “yes, she thinks they will disappeared in the next 20 years”. After few seconds she smiled to me again and invited to join them on the beach next day, as the weather was going to be perfect for diving. 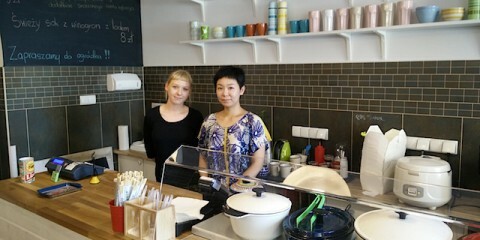 Being able to meet her was a great experience, and thanks to her I learned a lot about haenyeo. The day after the interview I joined them on the beach and will write about the experience in the next article.